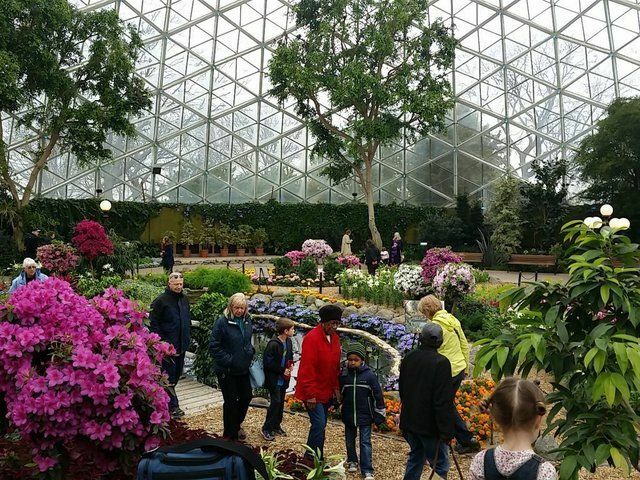 The "Show Dome," one of the three domes of the Mitchell Park Horticultural Conservatory, reopened on Friday, April 29, 2016. The opening was two days ahead of the target date for reopening, May 1. 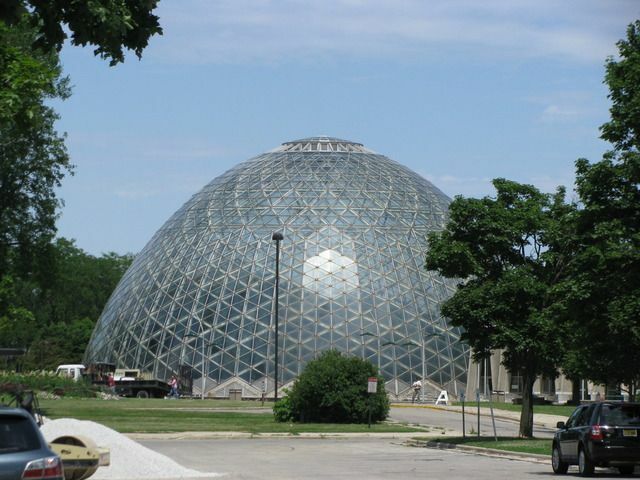 "The Domes," as they are popularly known, were closed in early February. On January 29, a piece of the concrete framework fell inside the Arid Dome, which was immediately closed. The closing of the other two domes followed a few days later. A mesh has been installed over the framework. Reports are that the mesh is barely visible. The mesh is to catch and debris that might fall and for officials to monitor the condition of the frame. Milwaukee County Executive Chris Abele announced the reopening on April 26th. He went on to say that the mesh is not a long term solution but provides safety in the short term. "It allows the engineers to monitor the concrete to see if there's falling. At the same time, provide safety which is the number one priority," Abele said. The Show Dome reopened on April 29. Photo courtesy of Fox6Now News. Abele said he expects another six to eight weeks to install the mesh in the second dome, then another six to eight weeks to prepare the third dome. The goal is to have all three domes open by the end of summer. Discussions continue for a long term solution, with the county asking for input from citizens.